When it comes to New Year’s resolutions, don’t just think about going to the gym to get your body in shape — make sure your IRA, insurance, and portfolios are in tip-top form as well. Take advantage of the increased contribution limits in 2015. Contributions to 401k and 403B plans have been increased to $18,000 (from $17,500) — and catch-up contributions have been increased to $6,000 for participants 50 and older, for a total of $24,000. Note: This is the year to sign up to have your contribution bumped automatically by 1 percent per year until it reaches the maximum. And remember, many employer plans offer matching contributions, so any amount up to a certain percentage that you contribute will be matched by the company you work for. Many plans offer automatic increase options on your contributions. Review your insurance coverage. When was the last time you checked your coverage under your life, disability, and homeowners or liability insurance? If your income has increased, or you haven’t investigated your insurance options in recent years, know that what was appropriate a few years ago may not be sufficient today to protect you and your family. 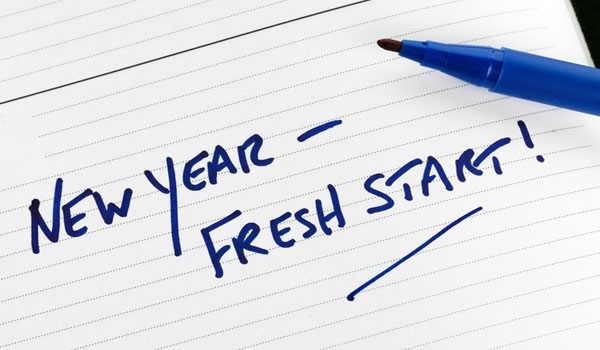 Consider making one of your resolutions to review your insurance in Q1. Re-balance your portfolio or portfolios. With the current dominance of stocks over bonds and domestic over foreign investments, it’s likely that your portfolio looks dramatically different than it did just a few years ago. This shift changes your risk exposure. If you haven’t been monitoring your investments closely recently, your portfolio’s risk metrics are likely higher than you realize. It is important that you check the risk profile of your portfolios annually at a minimum. Consider a Roth IRA. If you are married filing jointly and your household income is less than $183,000 — you may make a Roth IRA contribution. This is an after-tax contribution of up to $6,000, plus $1,000 catch-up contribution if you are over 50. Note: This IRA grows tax-free if you leave it for a minimum of five years and withdraw it after age 59-1/2. If you make more than the income threshold, you may still be able to get into a Roth IRA in a strategy referred to often as the “back door” Roth IRA. This is the process of contributing to a nondeductible IRA, and making an immediate conversion to a Roth, which is not income-threshold dependent. Be careful not to do this without professional advice as there may be other considerations for those with other IRAs. Use a password program to manage your accounts. As I noted in my article last year on credit fraud, it is important not to keep passwords to your important financial accounts on a sheet of paper in your top desk drawer.